This document is disseminated under the sponsorship of the Department of Transportation in the interest of information exchange. The United States Government assumes no liability for its contents or use thereof. The U.S. Government is not endorsing any manufacturers, products, or services cited herein and any trade name that may appear in the work has been included only because it is essential to the contents of the work. The U.S. Department of Transportation provides high-quality information to serve Government, industry, and the public in a manner that promotes public understanding. Standards and policies are used to ensure and maximize the quality, objectivity, utility, and integrity of its information. U.S. DOT periodically reviews quality issues and adjusts its programs and processes to ensure continuous quality improvement. FHWA-HOP-12-035 2. Government Accession No. 3. Recipient's Catalog No. Deepak Gopalakrishna (Battelle), Eric Schreffler (ESTC), Don Vary (Wilbur Smith Associates), David Friedenfeld (Wilbur Smith Associates), Beverly Kuhn (Texas Transportation Institute), Casey Dusza (Texas Transportation Institute), Rachel Klein (Battelle), Alexandra Rosas (Battelle) 8. Performing Organization Report No. The document has been developed to serve as a desk reference on integrating demand management into the transportation planning process. The desk reference is organized around two fundamental aspects of transportation planning – policy objectives and scope of the planning effort. The report discusses how demand management relates to seven key policy objectives that are often included in transportation plans, such as congestion and air quality. It then discusses how demand management might be integrated into four levels of transportation planning from the state down to the local level. The report also includes information on tools available for evaluating demand management measures and on the known effectiveness of these measures. 5.1 What Plans Should TDM be Included In? 5.2 What Is Your Capability with TDM at the State Planning Level? 6.1 What Plans Should TDM be Included In? 6.2 What Is Your Capability with TDM at the Metropolitan Planning Level? 7.1 What Plans Should TDM be Included in? 7.2 What Is Your Capability with TDM at the Corridor Planning Level? 8.1 What Plans Should TDM be Included In? 8.2 What Is Your Capability with TDM at the Local Planning Level? This report describes approaches for integrating demand management into the planning process at various levels for addressing different policy objectives. 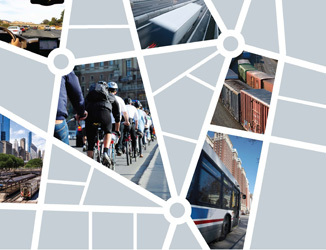 The report also documents known effectiveness, modeling, and evaluation approaches for demand management strategies to enable transportation professionals to effectively include demand management into their planning and operational "tool box." The authors would like to acknowledge the role and contributions of the many reviewers of this desk reference, who have enthusiastically supported this effort with their time, effort, and ideas for improving the document. We also gratefully acknowledge the direction and guidance provided by the DOT steering team for this project including Robin Smith, Reginald Arkell, Jim Hunt, Ralph Volpe, Rick Backlund, Patrick DeCorla-Souza, David Luskin, and Jeff Spencer. The report benefitted from review workshops held in Chicago, Richmond, Salt Lake City, Dallas, and Orlando. The authors are grateful to all those who attended and provided comments and follow-up materials. Specifically, we would also like to thanks Phil Winters and Sisinnio Concas from the Center for Urban Transportation Research, University of South Florida, for their technical review of relevant portions of the document. Finally, Egan Smith and Wayne Berman have provided their ongoing support for this project with a clear guiding vision of demand management and its role in the planning process.